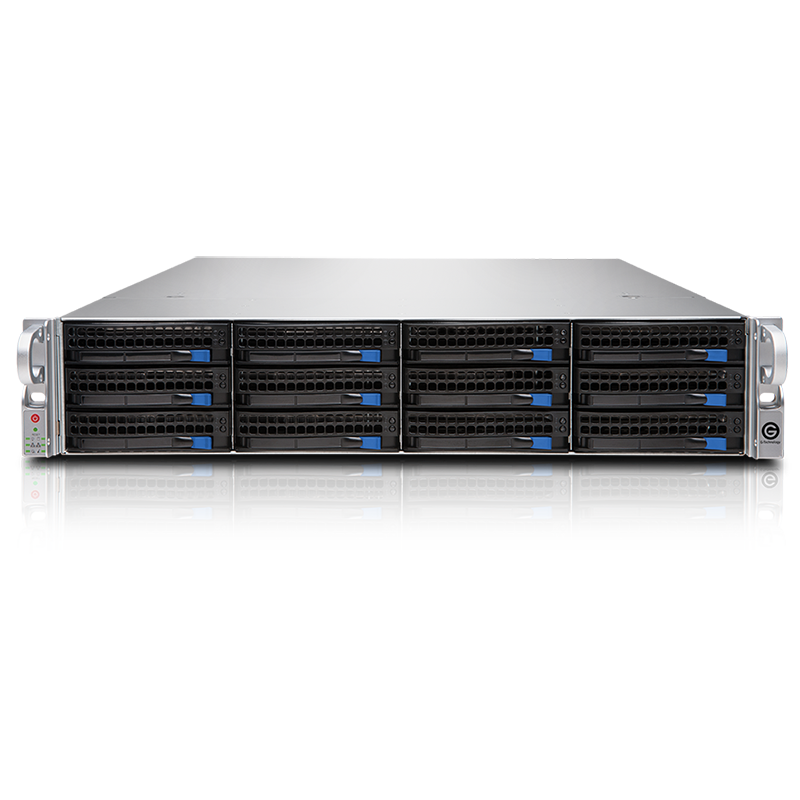 The G-RACK 12 is a complete network attached storage solution that uses state-of-the-art hardware and software to provide a turnkey, fully-operational storage solution that’s ready to use on your network. 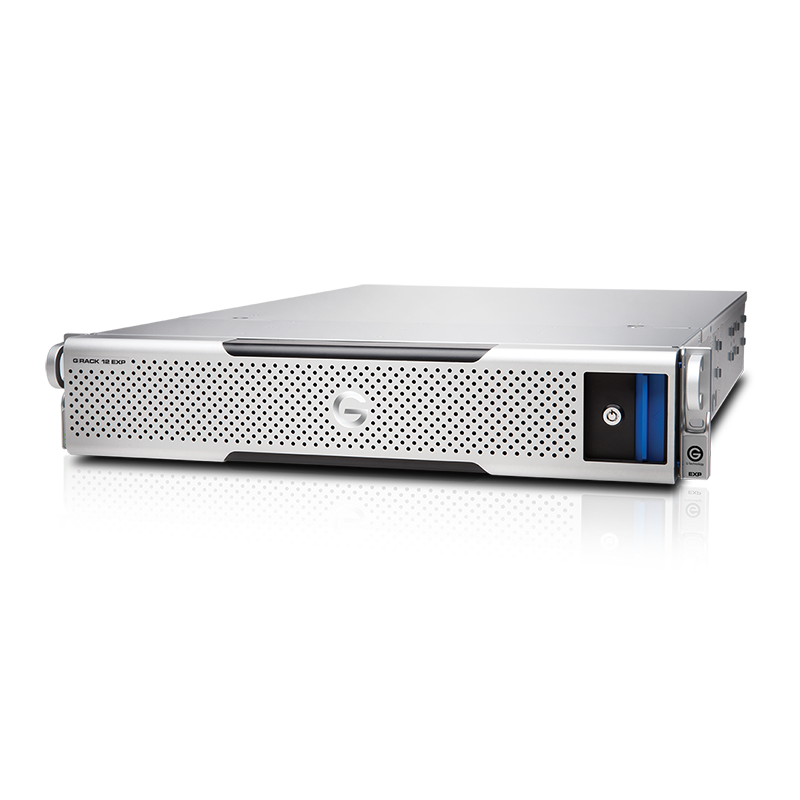 And you can add additional usable storage to it with the G-RACK 12 EXP expansion chassis – up to 600TB of usable storage. 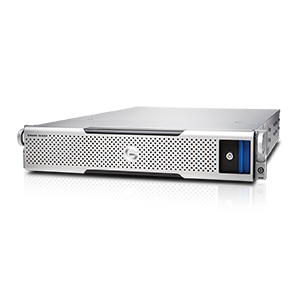 1 600TB of usable storage achieved with one G-RACK 12 144TB server plus four G-RACK EXP 144TB Expansion Chassis units. RAID sets are limited to 28 drives. 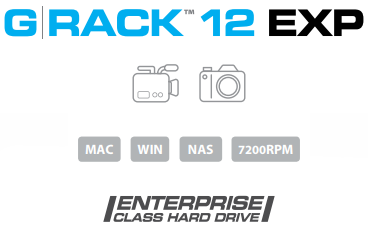 With Enterprise-class hard drives for enhanced reliability and a trusted 5-year limited warranty, the G-RACK 12 is the ultimate network storage solution for small-to-medium size post-production houses, TV/broadcast studios, ad agencies, and in-house creative departments working with Adobe Premiere Pro, Apple Final Cut Pro X, Avid Media Composer, and/or other creative applications. G-RACK 12 is designed to work as a high-capacity storage resource for popular Media Asset Management (MAM) / Digital Asset Management (DAM) applications running on Windows or macOS servers. G-RACK 12 becomes an available storage resource via multiple network protocols including SMB, NFS, AFP, FTP, and RSYNC, as well as utilizing iSCSI if needed. 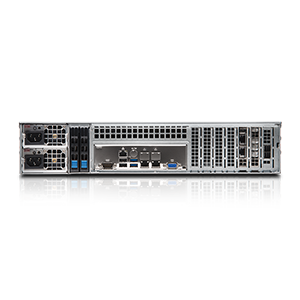 G-RACK 12 utilizes outstanding hardware features like Intel® Xeon® processors, enterprise-class hard disks, and high-speed networking. 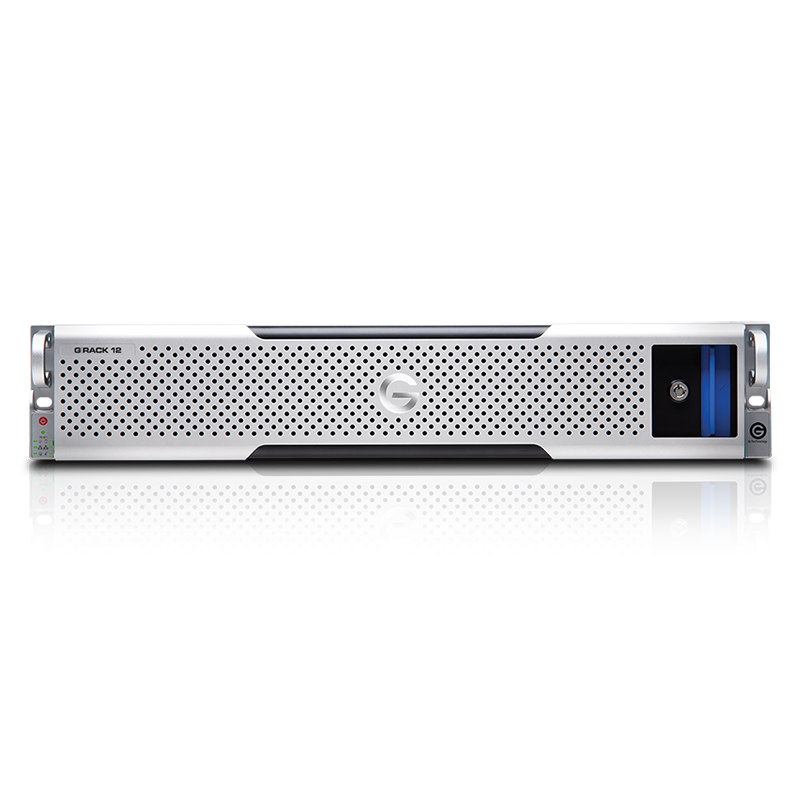 Paired with our own customized operating system software, incorporating the latest stable Linux® kernel and powerful BTRFs file system, G-RACK 12 is a turnkey, fully-operational network storage solution. 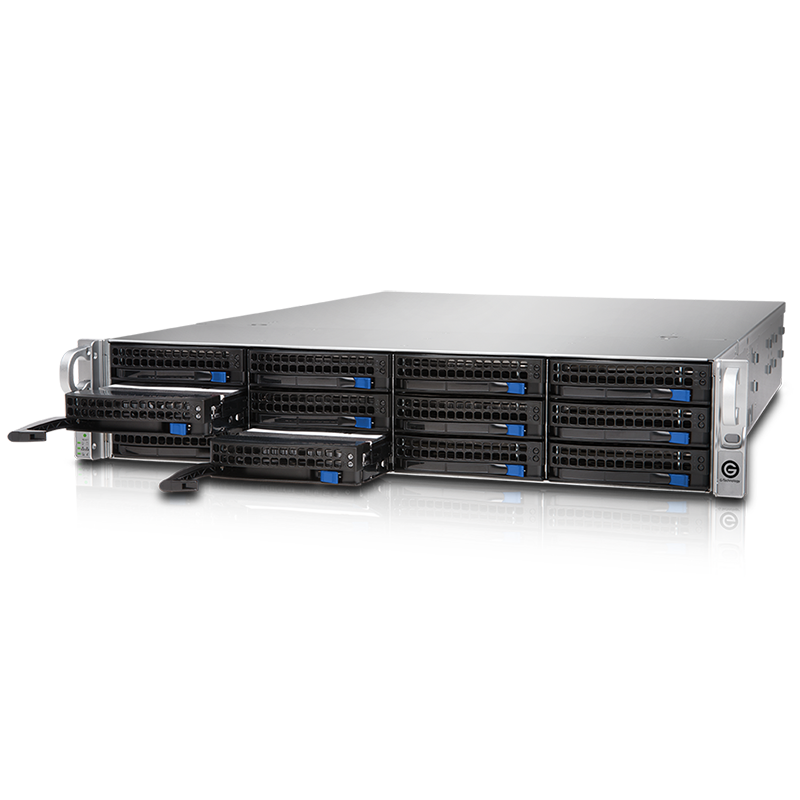 G-RACK 12 is backed by a standard 3-Year limited warranty and unlimited free technical support by representatives experienced with the latest content creation applications. 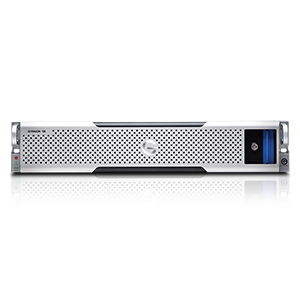 G-RACK 12 helps to streamline demanding 4K, 8K and VR post-production workflows, offering high-performance, efficiency and scalability for media and entertainment needs. Ensuring the availability of your G-RACK 12 device is a critical part of your data protection strategy. G-Technology has made selecting and obtaining the best level of support for the entire life of the product easy and affordable. Getting your support plan from G-Technology ensures dependable delivery of results and lower total cost of ownership. 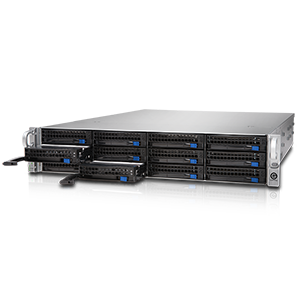 Service plans for your G-RACK 12 devices are offered at different levels to best meet your needs. Warranty Support – Included with each G-RACK 12 purchased and is geared toward customers seeking a simple support solution. During the warranty period, it includes access to global technical support during local business hours by phone or email. Silver – Includes software support and maintenance releases. Included for the 1st year from date of purchase of your G-RACK 12 or G-RACK 12 EXP. Gold – Includes everything in the Silver plan, plus 24 x 7 x 365 access to global technical support, next business day and on-site hardware replacement. Platinum – Includes everything in the Gold plan, plus same day hardware replacement within 4 hours1. NOTE: The support tier you select must be purchased for both your G-RACK 12 and G-RACK 12 Expansion units. Remote Installation – G-Technology’s remote installation provides customers an engineer who will assist with the installation and configuration of the G-RACK 12 remotely. No-Return Service – This service offering provides customers with the option to receive replacement HDD(s) part without having to return the defective HDD(s). Gold and Platinum customers have access to our technical support engineers 24 hours per day, 7 days per week. Warranty Support and Silver customers may access support from 9:00 am to 5:00 pm local time daily, Monday through Friday. All G-Technology support engineers are experienced in providing support to small post-production houses and critical storage environments. G-Technology has implemented an innovative process and CRM infrastructure that enables expedited routing of cases to the appropriate expert based on the customer and subject matter. 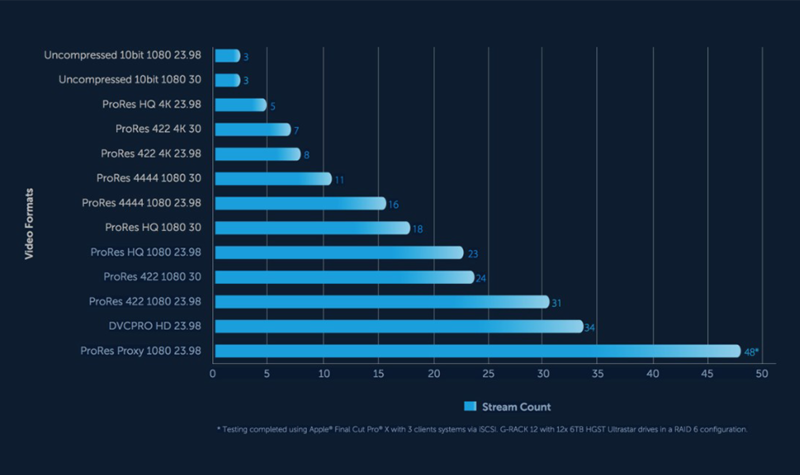 This efficient handling of cases results in reducing time to resolution and minimizes customer impact. Minor software maintenance releases are included for support levels: Silver, Gold and Platinum. However, major software releases are available for purchase separately. G-Technology hardware replacement options provide a cost-effective and predictable service to meet customer hardware support requirements. 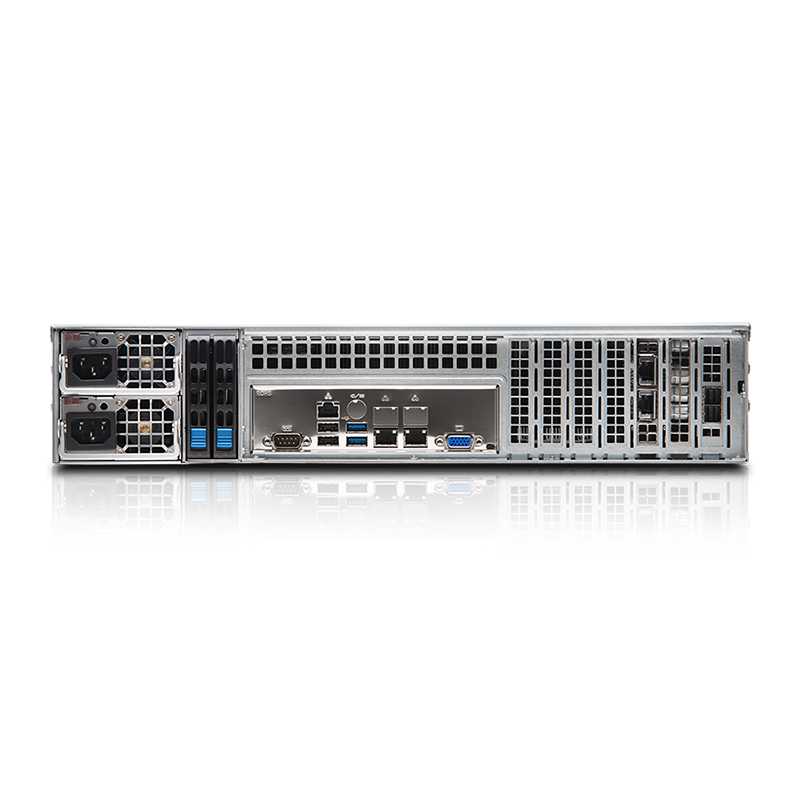 Requests for next-business-day (NBD) hardware replacement can be made 24 x 7 x 365. Our Platinum plan offers replacement of critical hardware parts on the same day, within 4 hours of Return Material Authorization (RMA) initiation. Requests for 4-hour hardware replacement can be made 24 x 7 x 365 (not available in all locations – restrictions apply1 ). A qualified G-Technology field service technician will perform all parts replacements on-site. 1 Not available in all locations. Contact your G-Technology representative for availability of Next Business Day and Same Day parts replacement delivery services. 2 Hardware Delivery: If a Support Plan is not purchased or has lapsed then the user will fall under the guidelines of the G-Technology Limited Warranty Statement for parts replacement.